This year, MEX celebrates 25 years in the Maintenance Management industry. Since its establishment in 1993, MEX has grown to become Australia’s #1 Computerised Maintenance Management System and a leading provider of Maintenance Software. In 1993 Stephen Ninnes, a maintenance engineer with ten years industry experience, developed a niche consulting service offering courses on ‘managing maintenance’ throughout Australia. It was during these courses Stephen saw the need for an affordable computerised maintenance management system that was functional and user-friendly. In August of 1993, the first version of MEX was created. The first official system was an access-based product with both front end & database using Microsoft’s Access platform. Back in the early 1990s, Microsoft Access was the go-to database program to use. Its usability made it ideal for organising small data sets and was perfect to use as the launching platform for MEX. Over the next few years the MEX product was refined and a customer base developed rapidly. During 2008, MEX Version 12 was released showcasing the migration to .Net and SQL. Microsoft SQL became a standard within the technology world where it could handle a larger set of features. SQL started to become the standard computer database language where hundreds of database products transitioned to support the language including computers and handheld devices. As an industry leader, MEX naturally moved across to SQL to coincide with the evolution of technology. Due to the continual rise of Apple in the early 2000s, MEX saw a need to develop a more advanced application that could be used on any operating system. In 2012, MEX Version 14 was released, a browser-based product supported by Microsoft Silverlight. V14 delivered the same easy to use feel, but at the same time provided customers with a seamless user experience and faster speeds. 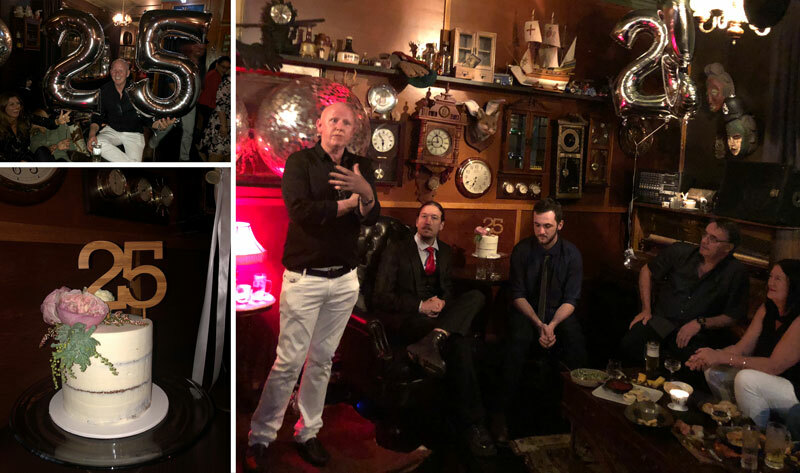 To celebrate this important milestone, the MEX team had a 25th Anniversary Party at the Jack Rabbits Whisky Bar last month. Since the inception of MEX, the company has grown from strength to strength, where the original team of 2 has expanded to include 25 full time staff. The 25 Year festivity not only celebrated the special occasion but was a pat on the back to the MEX staff for their continual dedication and commitment to the company. We have accomplished a lot during our first 25 years and have created a very powerful software package which has helped an immense number of customers over the years. We are very excited to see what the future has in stall for MEX where our plan is to keep it exactly the way it is on the outside. But on the inside, we may have to cut and gut and reshape and do whatever we need to do to continue to fit in with the future of the technology. MEX would like to thank everyone for helping make MEX a fantastic company and look forward to the decades to come.